Living a Fit and Full Life: ECOS™ Dishmate™ Hypoallergenic Dish Soap, Winterpine Now Available for a Limited Time! 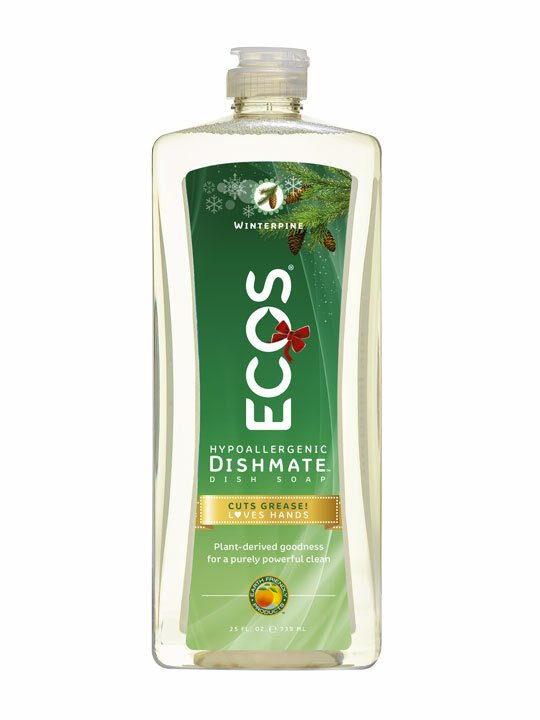 ECOS™ Dishmate™ Hypoallergenic Dish Soap, Winterpine Now Available for a Limited Time! ECOS™ believes that what’s on the inside counts. That’s why they’ve spent nearly 50 years creating and perfecting thoughtfully sourced cleaners that work great and are safer for people and the planet. Bring a fresh new holiday scent into your home this season. Introducing ECOS™ Dishmate™ Dish Soap Winterpine—a limited-edition scent chosen by customers like you! Let this invigorating winter aroma transform your kitchen into a lush forest of snow-dusted evergreens. Get yours today while supplies last! ECOS™ Dishmate™ Hypoallergenic Dish Soap in Winterpine is the perfect way to transform your kitchen into a lush forest of snow-dusted evergreens this holiday season! I'm not really a fan of washing dishes by hand but ECOS Dishmate Hypoallergenic Dish Soap in Winterpine has made the task much more enjoyable. My mind wonders as I wash dishes to thoughts about the holiday season. I think of happy childhood memories and all the new memories that will be created this holiday season. ECOS Dishmate Hypoallergenic Dish Soap in Winterpine allows me to enjoy washing dishes and I have to say it definitely helps the time pass and before I know it I'm all done with the dishes. 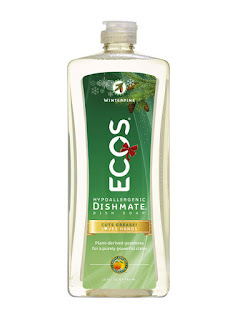 ECOS Dishmate Hypoallergenic Dish Soap in Winterpine is an awesome way to fill your home with the scent of the season! It smells absolutely fabulous and it's only available for a limited time, so make sure you pick up a bottle today! Click HERE to find a store near you that sells ECOS™! Click HERE to learn more about ECOS™! Follow ECOS™ on social media!